In my next “Empty the Fridge” quest, I searched the web for ideas to use leftover country style pork ribs. 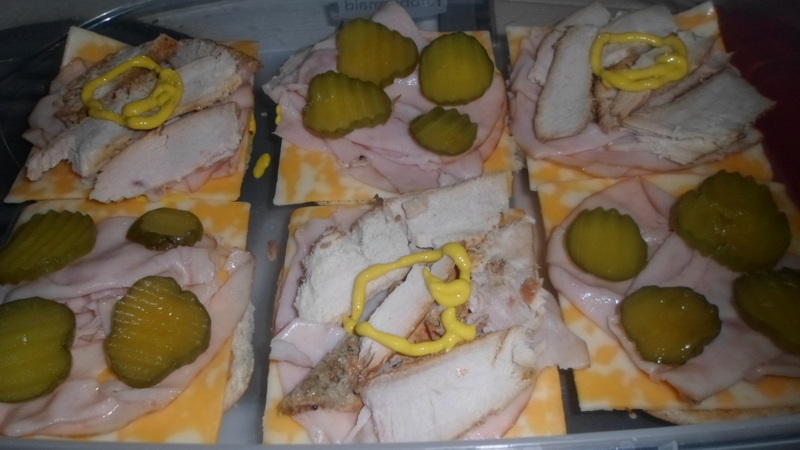 The number one answer was “Cuban Sandwich”. I had four hamburger buns. I had cheese. 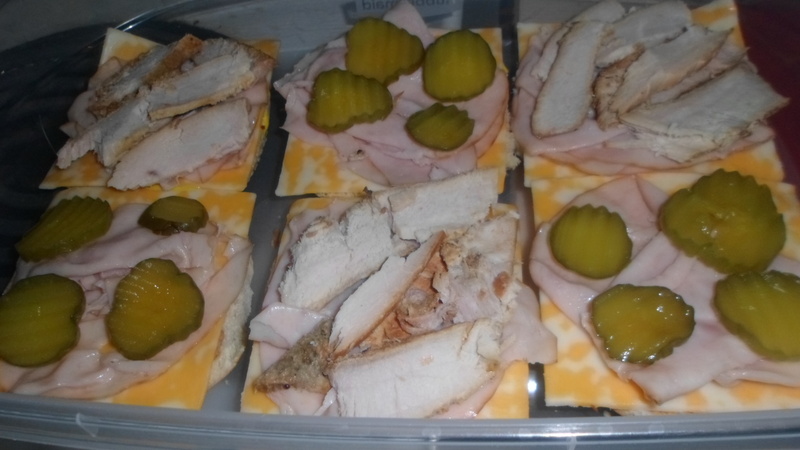 I had pickle. I had mustard. I had smoked turkey. It sounded good, and it was! First, I sliced the leftover pork thinly and salted it. 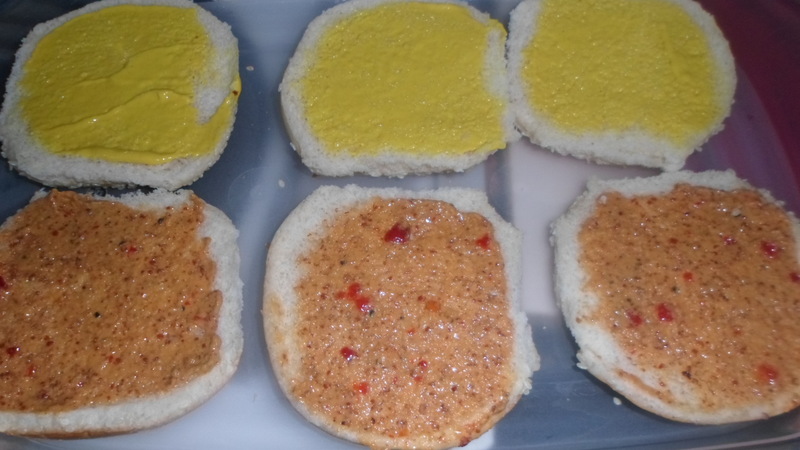 I laid out the buns and spread spicy mustard on one side and yellow mustard on the other. 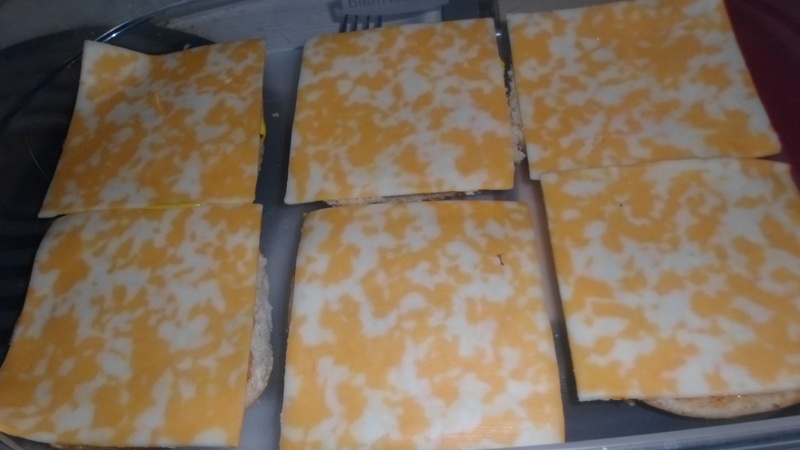 A slice of cheese on each piece of bread. 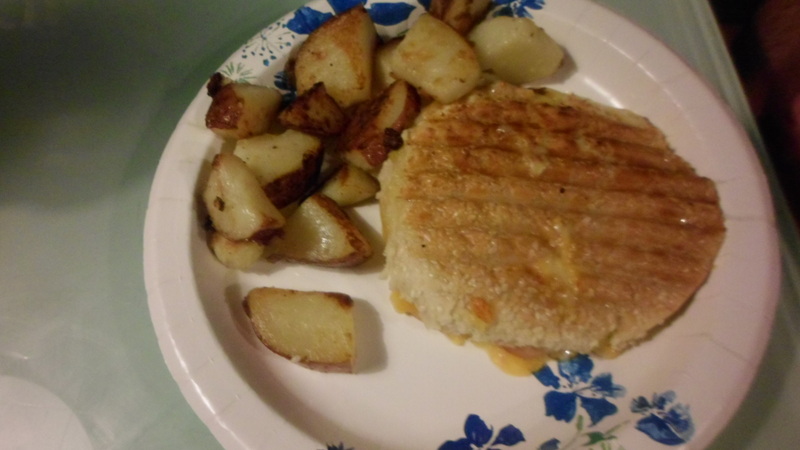 I cooked them in the pannini maker while the potatoes fried. 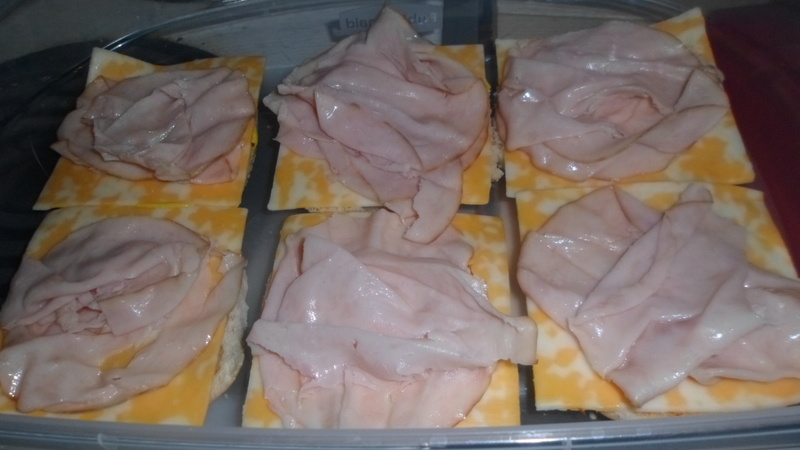 Voted favorite use of leftover pork!